Silverline Meditech is one of the well-known names engaged in manufacturing as well as supplying a variety of wheelchairs and other therapy equipments. 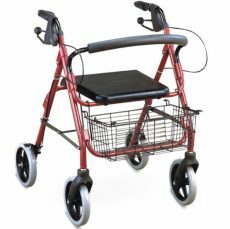 We are proficient in manufacturing and supplying a variety of products such as Wheel Chairs, Folding Wheel Chair, Portable Suction Machine, Suction Machine, Battery Operated Wheelchair, C.P. Child Wheel Chair, Light Weight Wheel Chair, Hand Held Pulse Oximeter, Digital Blood Pressure Monitor, Digital Thermometer, Personal Weight Scale, Adult Diaper, Commode Range, Cerebral Palsy Wheelchairs, Pregnancy Strip Card, Stethoscope and Digital Blood Pressure Monitor all over India. We have a team of qualified, trained as well as qualified engineers and technicians having proficiency in manufacturing and supplying therapy equipments exclusively. Our company has established superior equipments on the global markets. Subsequently, our company has produced high reliability & consistency from our many customers. We always manufacture these equipments and wheelchairs with high quality which we procure from recognized suppliers.